Bear Claw is an amazing new kitchen tool you will want to make yummy shredded anything! As well as Donating 10% of all sells of the Pink Bear Paws to the Susan G. Komen Cancer Foundation. 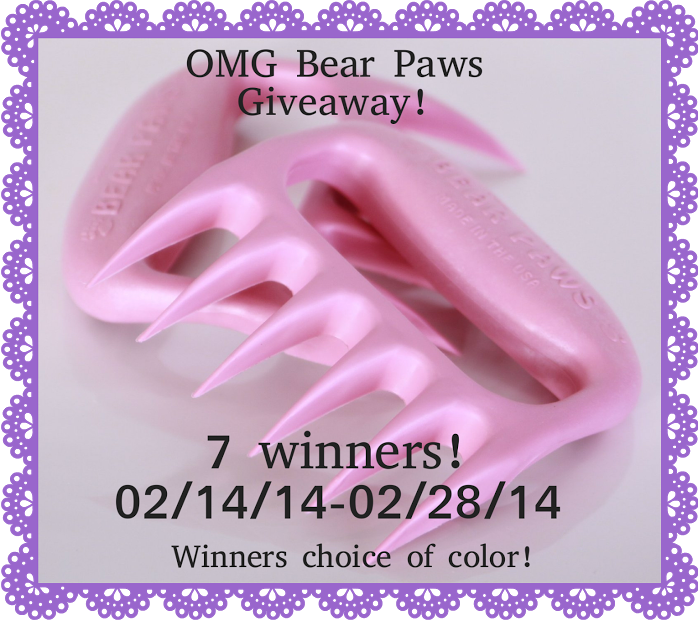 The amazing company at Bear Paws and Oh My Goodies are bringing you this giveaway for your choice of color of Bear Paws. There is also 7 winners! Come and try your luck for one of the 7 Bear Paws! These things are pretty cool! I would love to have a pair of these around Thanksgiving. Good luck to all who enter! 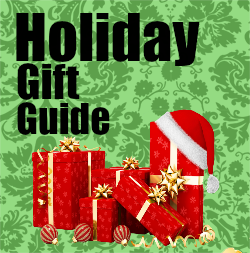 Make sure to enter and come back and do the daily entry to have a better chance to win! These would be great for shredded bbq! So convenient for shredding, and using them to hold onto things while they're being cut is a great idea as well! I like that they give a portion of the sales from the pink Bear Claws to Breast cancer patients and research. I have family who probably benefited from their generosity. My favorite thing is that these are Made in America! I like that they are Recommended by America’s Test Kitchen (2011). I like that Bear Paws have appeared several times on the popular television series BBQ Pitmasters. I like the Stay cool easy grip handles. I'm okay with not burning myself anymore, my family has a running joke about how mom burnt herself this time. I do like that the company donates to worthy causes. I really like that they created Pink Mama Bear Edition. I also like that they are FDA approved nylon reinforced heat resistant design. I like that I can use this for melons also. I love that they provide jobs to friends of our local communities, and to be exporting rather than importing. These would make shredding chicken and beef or pork for sandwiches. I like the versatility of these utensils. I also like that these are made in America. I like that Bear Paw Products, Inc. continues to be family owned and operated.